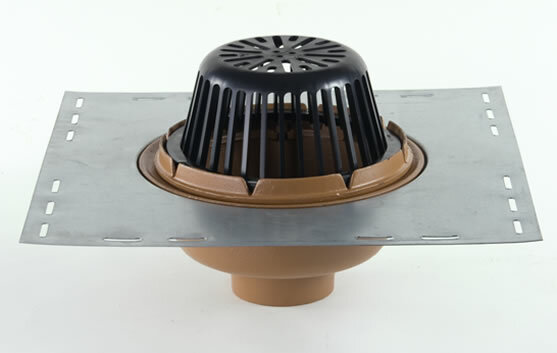 1310 & 1320 12" Diameter Body Roof Drain w/ Low Profile Dome - Jay R. Smith MFG Co.
Used in flat roofs of any construction where a medium sized drain is required. Flashing clamp holds flashing and roofing material without puncturing. Low profile dome protects sump and intercepts debris. Duco Cast Iron Body with Combined Flashing Clamp and Gravel Stop with Polyethylene Dome. Smith No. 1310 galvanized cast iron drain and grate. Flashing device in membrane floor.